Dye Verse UK: Sample Boxes…. 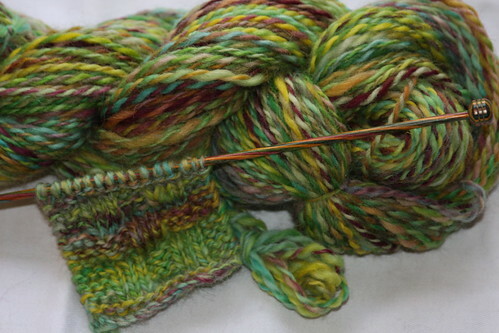 A quick post today, to just answer some of the queries and emails that I am getting regarding sales of my handspun and kettle/natural dyed wool. As most of you know I haven’t been doing much in the way of wool/roving for sale lately because of other things going on in my life. I also felt it quite important not to put any more pressure on myself than I already have by taking orders. 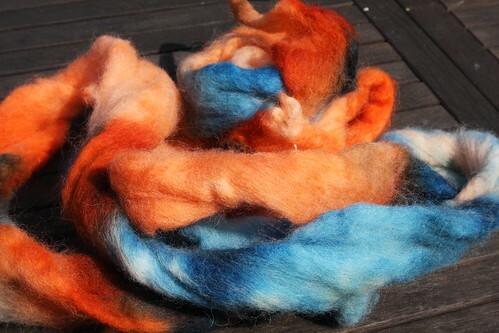 My spinning and dyeing is also my quiet and healing time – and I really didn’t want to get the two confused and limiting my stress levels are my main priority – not to add to them ! Whilst I had an overflow of spun stuff in storage, this wasn’t too big a problem to fulfil the odd order and request, but last year I had two very large commercial orders and this has cleaned out most of the stash. That said – the “stash” pile (product of a lot of late night upsets and lack of sleep!) is starting to build up again and over the last week or so I have had a number of requests. So I am going to have a sort through of what I have and place these on the site – strictly on a first come limited colour basis. This is not in order to make money, but save myself from being buried alive underneath the avalanche – so the costs will be materials plus postage. All donations/profits to go to CEDA who you have all heard me rave on about before. If you have any particular colours/requirements – please contact me through the contact form, and if I have them to hand, I will be happy to oblige. 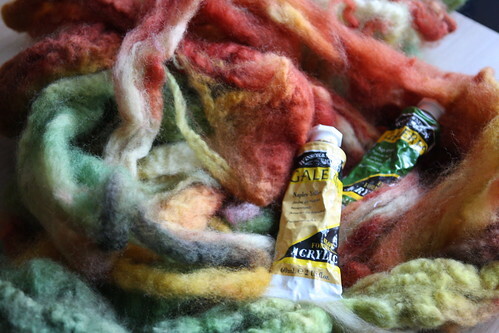 Any similar requirements I may well bundle together and make a dye bath or two to clear the base wool – before moths discover me and start inviting their mates in. (Have you ever noticed how birds arrive at the feeder two seconds after it is filled – psychic, secret signals or what…?!). Odd amounts and test lots which don’t add up to multiples of 100g or are of mixed fibres – I will put together into sample boxes on a random basis.. I also have a number of silk and embroidery skeins, again – sold as seen and will put together in 100g lots. I can’t stress enough though, these will be totally non repeatable, and so if you are looking for something special and specific – please check back when I am back in the real world. So I hope this answers your queries and questions, just fill in the Contact Form of you are interested and I will mail you when I have this organised – or keep an eye on the sale page. Thank you all so much for your continued interest in my work and projects – it makes a big difference to my self-worth… appreciated.